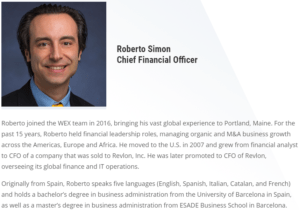 The Digital Transformation of the CFO: A Conversation with WEX’s Roberto Simon | WEX Inc. In a world gone digital, many professionals have experienced massive shifts in their job descriptions over the past decade. This is certainly true of chief financial officers (CFOs) and senior financial executives—a cohort that WEX is particularly interested in because our payments solutions are largely designed to simplify and streamline their jobs. We recently polled more than 1,000 CFOs for our annual Payments Pulse survey about their views of payments systems present and future. But for this blog post, we went to our very favorite CFO—WEX’s own Roberto Simon—for his take on how the digital world has transformed his job for the better. WEX: It’s no secret that the role of the CFO is evolving. What are the key differences today versus five or 10 years ago? RS: I recently read an article that pointed out that the CFO didn’t really exist until a few decades ago. Before 1978, less than 10 percent of the major American companies had a CFO. But by 2000, more than 80 percent of companies had one on payroll. That being said, because it’s still a relatively new position, the CFO’s role has been evolving since day one. It has gone from a pure accounting position to include other disciplines like financial planning and analysis, tax, treasury, internal audit, and more. Today, the CFO has an important seat at the table when it comes to stewarding the long-term strategic future of a company. The CFO is the person who maximizes value creation. When there are limited resources in a company and great demands for these resources, particularly in a growth company, the CFO must determine how to maximize the returns for the organization. For example, WEX has several lines of business that might all want to launch new products. I have to look at what has the biggest return on the capital invested. And also, what brings the biggest benefit to the business in the long-term. Today, and even more in the future, CFOs need to cultivate a great understanding of regulatory and financial complexities, as well as technology like cloud-enabled ERP and data analytics to better support the business. This is a long way from the role of a CFO 10 years ago. WEX: What technologies should CFOs focus on? RS: An organization’s overall need to innovate varies from company to company, depending on the industry. But most CFOs need to keep tabs on cloud technology, cyber-security, agile organization and digital analytics. These things give businesses a competitive advantage in the marketplace, provide insights to customers and protect the reputation of the organization via improved security. Finance organizations specifically should focus on three main areas of technology—automation, data and analytics. Automation streamlines finance processes and improves scale, and it also frees up people’s time from computing to analysis. The emphasis on data is all about improving the combination of data availability and visualization of this data. And the ease of access to data today gives businesses real-time financial information that can improve the performance of an organization overall. Meanwhile, advanced analytics are accelerating decision making and uncovering hidden growth opportunities and risk areas that may not be apparent at first glance. WEX: For CFOs who face digital resistance, what can be done to help ease the transition? RS: To ensure that enterprise-wide technological changes will be well-supported, a CFO needs to be sure that the CEO and the board of directors are aligned. Engagement with the executive team is critical, as any major change will bring disruption to the business. And when executives are on board with changes, they will be more likely to improve their outcomes. I recommend identifying the enablers of the resistance on your team and working to bring them along. Second, CFOs need to identify tasks and processes within the finance function that would benefit from digitization, enable better decision making and create value for the business. And just because a CFO implements new technology, it doesn’t mean that everyone on the finance team will be an expert on that technology. You have to figure out how to manage through the gap. WEX: How will the finance and technology roles work together in the future? RS: A good start is for CFOs, CIOs and heads of operations to see things from each other’s perspective and find a common language. At WEX and other companies, CFOs need to look at technology as an engine for innovation and growth rather than a line item. 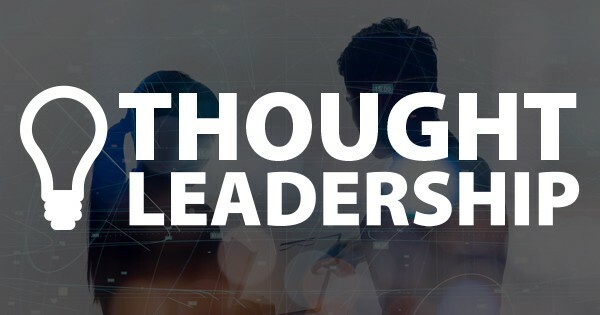 And CIOs need to translate their “geek speak” into layman’s terms and actively look for ways to link spending on technology to immediate and long-term revenue growth, improved margins and business efficiency. CIOs are on the forward curve of what is happening in the future, and CFOs need their help to understand its landscape.